The hunt for the perfect chocolate gift basket ends here! Thoughtfully arranged and hand-delivered by a local florist, the Chocolate Lover's Basket is made with your recipient's enjoyment in mind. 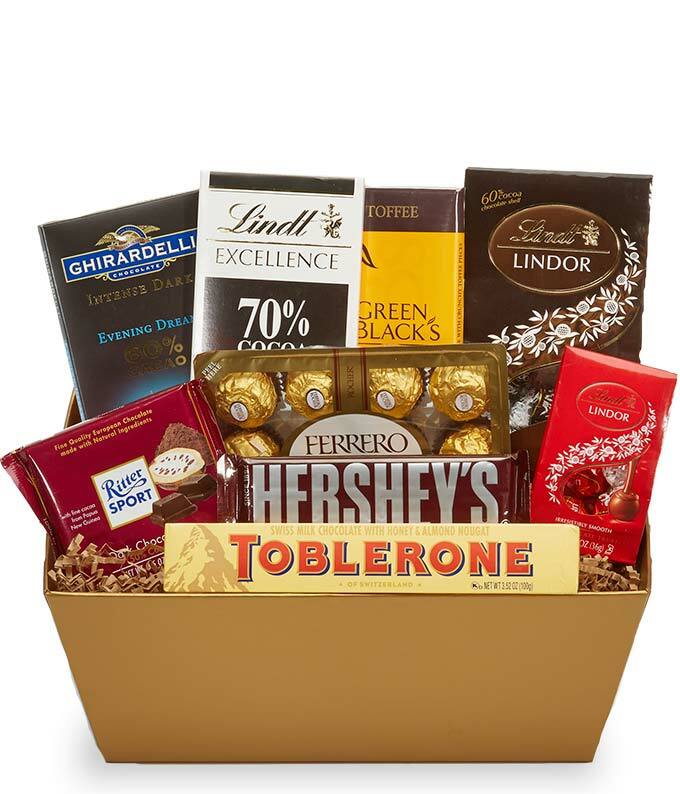 The Chocolate Lover's Basket makes a great thank you gift, happy birthday gift, congratulations gift, and just because gift. Make that someone special smile today by sending them this gift! Please note: the variety of chocolates may vary.